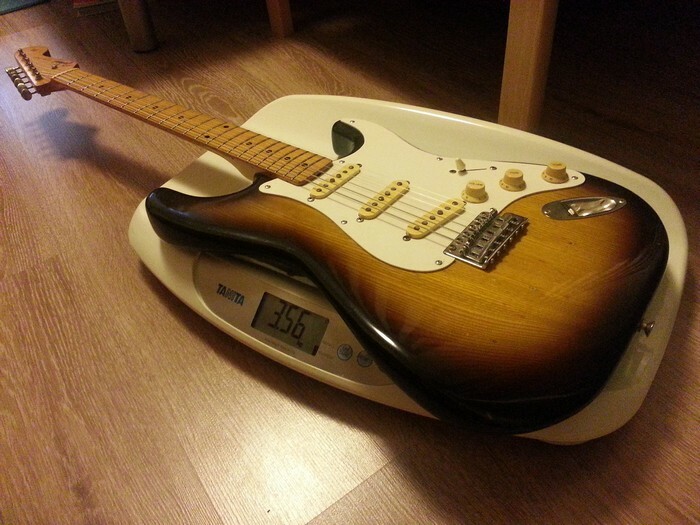 I wondering if there is any correlation between body weight and acoustic tone, which effects amplified tone? Agreed nice looking guitar in nice shape. Going to change pickups. What you think about BareKnuckles Mother's Milk Singles? Thinking of parting out the "E"s? If so, I'm very much interested! so start looking for this sound. Is there a big difference(to say wow!) between stock E-pickups and BK Mother's Milk? Looks like BK MM outputs is very close to my current pickups output. I like my current tone but it dont have such a power like at video. I am using Laney VC15-110. Now I am thinking what to do first: change Laney to Fender Blues Junior Tweed or change pickups? Posted: Wed Apr 20, 2016 6:26 pm Post subject: It ain't necessarily so. I wouldn't read too much into that video clip. The amp is very bright and there is a lot of reverb. The mothers milk pickups have enamel wire this makes the pickups sound deeper with less highs and upper mids. The mothers milk pickups won't have the chime and timbre associated with Knofler, Hendrix and chimey SRV. Listen to live Hendrix videos where he is playing a CBS Strat to get an idea of what the pickups will sound like. Typically a bright guitar will benefit from enamel wire pickups. BTW, I have two pickguards with both types of pickups. Think about to refret it. 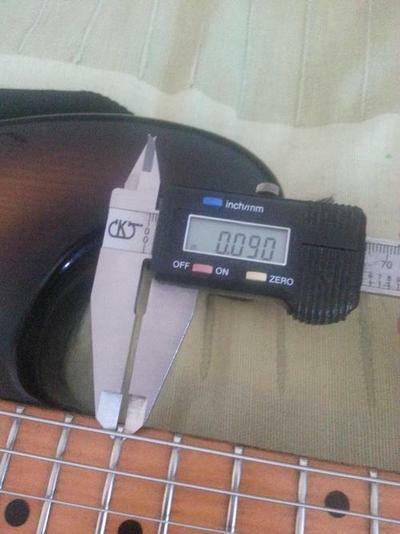 Do you know the original fret sizes? 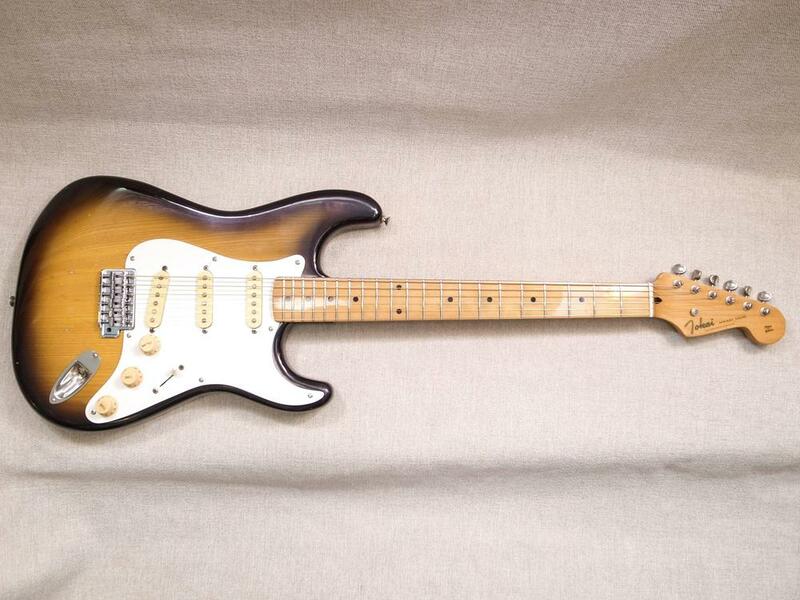 Or can you give an advice about fret choice? Your luthier will be able to check what is on it and replace with the correct wire. I recently had the bottom 12 frets done on my 1980 st80 by a local guy and it worked out really well. And re those pickups, have the refret done (if it needs it) before you switch pickups. The amount of fret meat definitely changes the tone. But you might find all it really needs is a decent fret dress. Forgot to say - you will find a huge difference between a small valved combo with a ten inch speaker and the same design with a 12. open backed 12 will give you a lot more fatness. First of all, I bought a new combo - Fender Blues Junior Tweed with Jensen Speaker. The tone is much better and powerful. Guitar and amp sounding very nice together! At this moment I desided to not change those stock pickups. Then I took my guitar to luthier to refret it without relacquering. He did it perfect. Playing guitar became much more comfortable, less buzzing, sound is amazing, love it.